Trudier Harris is a University Distinguished Research Professor of the Department of English at The University of Alabama, an honor she has held since 2015. A graduate of Tuscaloosa’s Stillman College, Professor Harris earned a master’s degree in English and a Ph.D. in American Literature and Folklore from the Ohio State University. 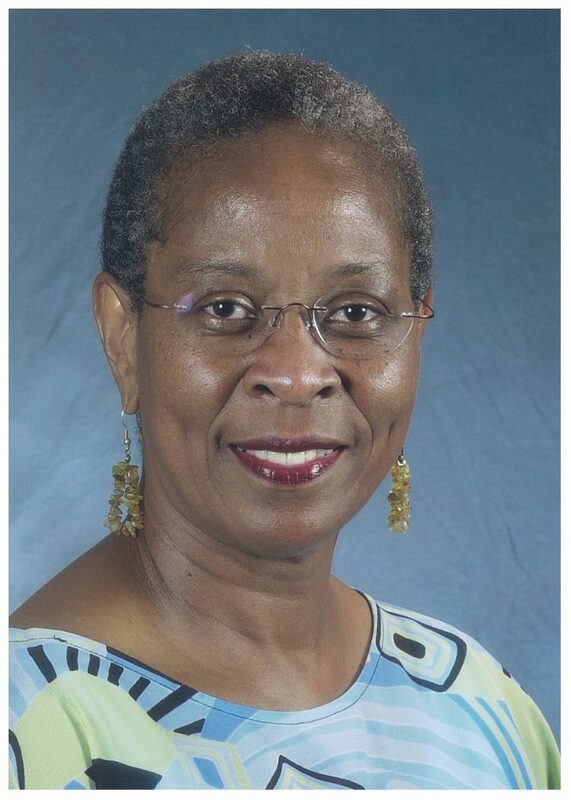 Prior to joining the faculty at UA, she held the position of J. Carlyle Sitterson Distinguished Professor at the University of North Carolina at Chapel Hill. Professor Harris spoke with Dr. Christopher Koester about her latest book, Unspeakable: Difficult Times and Difficult Topics and her role in organizing the Department’s symposium, “Black/White Intimacies” in 2017. Your new book project, Unspeakable: Difficult Times and Difficult Topics, sounds especially timely. What can readers expect from the text? You can expect a discussion or treatment of topics that people don’t like to talk about—topics that are either unpleasant or that emotionally evoke a visceral kind of response from people. I discuss things people don’t like to talk about, such as relationships and illness. For example, the title essay, “Unspeakable,” deals with terminally ill folks, who linger even when they are beyond recovery and no longer recognizable. Their relatives would prefer they pass away, but social conditioning prevents them from admitting it. The essay is a letter to a dying person, asking them to leave because their relatives can’t make that decision. As long as the dying person lingers, their relatives will grieve. I also have an essay on suicide and how that is ultimately a selfish act. Often, they leave behind their physical bodies, their legal affairs, or both. I believe, if you want to commit suicide, you should go on an ocean cruise, jump off, and let the sharks eat you and be done with it. I cover some lighter topics. For instance, African American communities have perennial funeral-goers—people who attend funerals whether they know the person or not. They will later report on how the deceased looked; they report on what the minister had to say; they will report on the grieving among family members, and the like. I also talk about some marital issues and the rules people are given for how long people should stay when their partners mistreat them. I also have an essay called “Prison Candy,” which considers young black men’s attraction to certainties of prison life. Prison absolves them of responsibilities that they cannot meet on the outside due to lack of education. What prompted you to write Unspeakable? After I published my memoir, Summer Snow in 2003, I wasn’t interested in a sequel. I like the idea of nonfiction essays. In 2013, my oldest niece died after a long battle with cancer. She had chemotherapy; she had all the treatments, and she just lingered and lingered and lingered. When she was in hospice, one of the nurses said to her sister, “Please, go out of the room, and stay out of the room, because as long as she can hear your voice, she’s not going to go.” So, my other niece took to staying out of the room for long stretches at a time. You have to give people permission to leave, which is not something people want to talk about. I am also in a group called the Wintergreen Women Writers Collective, and it’s made up of a group of women mostly from North Carolina and Virginia. We went to the mountains of Virginia in May of 2017 to celebrate our thirtieth anniversary. I find it striking that when I read the “Unspeakable” letter at that gathering two years ago, people thought it was the funniest thing they ever heard—they cracked up. And I said to myself, “This is so weird.” Then, when I read it here in Tuscaloosa, the next year, at a writer’s club, people cried. One guy, a minister, said that he could barely sit in the room while I was reading; he almost got up and walked out. I can’t explain that. Maybe it was because the people in my writer’s collective are accustomed to my voice. It was 180 degrees—laughter, laughter, laughter, then in Tuscaloosa, boohooing and trauma. You organized the 2017 symposium, “Black/White Intimacies: Reimagining History, the South, and the Western Hemisphere,” which focused on interracial interactions primarily during the antebellum years in American history. Tell us about it. In 2015, Sharony Green, who is an Assistant Professor in the History Department, published a book entitled Remember Me to Miss Louisa, a study of interracial intimacy between African American women and white plantation owners. In some instances, these owners treated the women with deference. They had kids by them; they took care of those kids. Before I read Sharony’s book, I did not know that Cincinnati, OH was one of the places where many of these women were relocated, and the white men would take care of them. I said, “Wow, why don’t we expand the book’s theme by thinking about it from the perspective of literature?” Then, I discovered that Andy Crank and Cassie Smith were both teaching relevant courses, so that’s how it got started. People were excited about the variety of topics. There were talks about Thomas Jefferson and Sally Hemings, but there was also a discussion about the television show Scandal. We also had a presentation on a dance hall in North Carolina that was like Harlem in the 1920s, where white people went to watch black people dance. Eric Nunn from Auburn talked about interracial friendships in the music industry. Another speaker discussed Old English poetry and rap music. One of our MFA students and Carmen Gillespie, a professor from Bucknell, both did poetic renditions of transracial intimacy. Gillespie’s work imagined what the women in Thomas Jefferson’s life, including Sally Hemings, might have to say. Our MFA student, Diamond Forde, wrote on the Loving couple out of Virginia. A woman from France, Emmeline Gros, delivered a paper about eavesdropping in Gone with the Wind and Uncle Tom’s Cabin. In these texts and films, we see instances in which black and/or white characters hear things through closed doors, and the information they get could have a major impact on other characters. This intimate, not-supposed-to-be-there-in-the-first-place medium makes it unclear whether these characters can use this information. One of President Stuart Bell’s expressed objectives is to increase the quality of our graduate students and programs. We are not Princeton, Yale, Harvard, University of Michigan, Berkeley, Carolina, or Virginia—this is the University of Alabama. Our goal was to showcase our intellectual work in the Department and in our University so that scholars coming here might be more inclined to send graduate students to our programs. I also wanted to provide networking opportunities in addition to our scholarship, cultural work and community outreach. There’s a lot of “beyond.” Look at Olivia Pope played by Kerri Washington on Scandal: she didn’t just pop up. There’s a long history of Black women at the edges of power behind her appearance. When you think about the Lovings, and that particular moment in history—what does that mean for representations of black female/white male engagement now? One can even think about Alice Walker and her Jewish husband, who decided in the 1960s to live in Mississippi, simply because Mississippi had anti-miscegenation laws. Or you can think about Natasha Tretheway, the former poet laureate of the United States, whose dad was a white professor from a small Virginia college and whose mom was a black woman from Mississippi. What was it like for Natasha to grow up in Mississippi and then in Atlanta? She writes about her upbringing in her memoir, Beyond Katrina and in her poetry collection, Native Guard. If she is that mixed-race person, then where does she belong, and how does she fit? As Eric Nunn was presenting his paper, I was thinking about Alice Walker’s short story, “1955,” which is about Elvis and Big Mama Thornton. Elvis took Big Mama Thornton’s “You Ain’t Nothin’ but a Hound Dog” and made it into a hit. Alice Walker portrays a comparable kind of thing in “1955” with a young, white superstar who takes a song from a middle-aged black woman but does not understand what the song means. He sells millions of copies; he earns beaucoup money, but he doesn’t know what it’s all about because there’s a cultural disconnect. The symposium explored the limitations of interracial intimacies in domestic spheres, legal systems, religious spaces, and classrooms. How do we address these limitations today? Think about those women in Cincinnati: no matter how much a white man professed his love, there were laws. But as you well know, in the South, custom and law are often different. There are always limitations in terms of interracial interactions, and there are limitations in people’s minds. The majority of folks in this country still don’t approve of mixed race relationships. They still make snide remarks or give mixed race couples dirty looks. If you’re a black male athlete, there are two prominent stereotypes. One is that black athletes go after white chicks. The other stereotype is that white women chase black athletes in anticipation of their future multi-million dollar contracts. So, the issues persist: how can you thread through all the noise to just two human beings in love? You have internal community limitations and external monitors. We are not there yet. So, mixed-race couples look for others like themselves to find community and acceptance. What response did the symposium receive? Everybody loved it. People liked the way it was set up; they liked the way it was run; they liked the fact that they were introduced to some new ideas. They appreciated the organizing, everything down to the transportation to and from the airport. There were also grad students who were around to assist if anybody needed anything. If you’d like to hear more from Professor Harris, you can check out her Last Lecture on UA’s iTunes U page at itunes.apple.com.